I was obligated to bake a cake for breakfast tomorrow as I have told my hubby not to buy any bread. There was a bunch of bananas hanging in my kitchen. 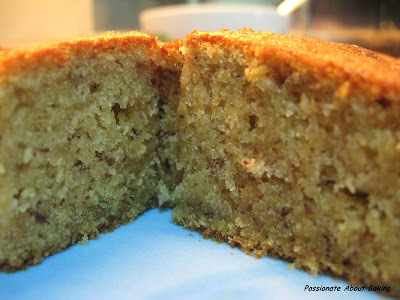 I wanted to bake banana chiffon cake initially, but decided not to repeat my bake. Finally, I refer to my favourite book - The Cake Bible. 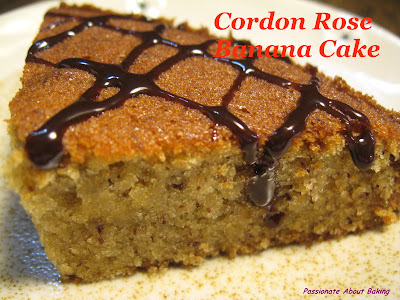 I found one called "Cordon Rose Banana Cake" page 69. "This moist, light, exquisitely tender cake with the rich taste of banana is accented by the lively tang of sour cream and lemon." It really lived up to its description. 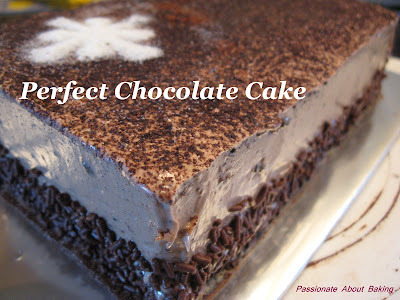 The cake is really very very light and moist and I simply really love the taste! I topped it with chocolate ganache and it's HEAVENLY! 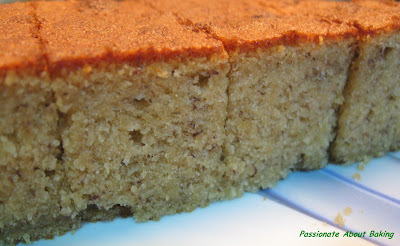 I managed to find a blog with this exact same recipe from "THE CAKE BIBLE". You may refer to the recipe here-Eat & Be Happy. 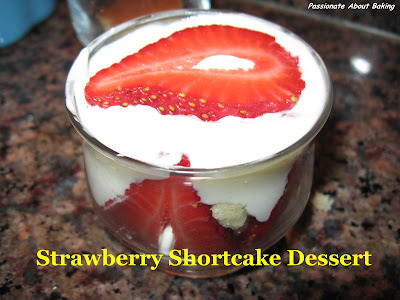 The recipe is extracted from Rose's "The Cake Bible". 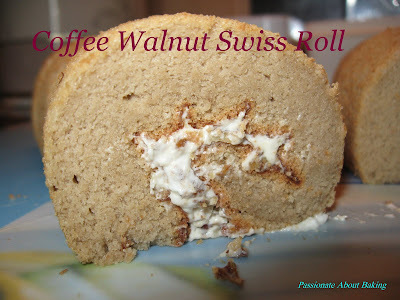 I made Coffee Walnut Swiss Rolls yesterday for my sister. I'm pretty happy with the texture of the coffee cake. for a family of 6! Since I started baking flaky yam mooncakes, I was quite confident of making the water & oil dough crusts. I decided to try the spiral curry puffs from Jo's Deli then. The recipe calls for the puff to be fried, but I baked it. Therefore, the puffs looked pretty pale. The dough didn't turn out as well too! Guess I'll try again sometime. Yesterday was the Mid-Autumn Festival, known as 中秋节 for the Chinese. During this day, what we usually do is to eat mooncakes, pomelos and drink Chinese teas. I made my final batch of snow skin mooncakes with the help of my dear hubby. In fact, he helped me with all the making and the washing. :) This is the final post for mooncakes. I leave here the description of my grand FINALE. but don't want it baked. but don't want lotus paste." 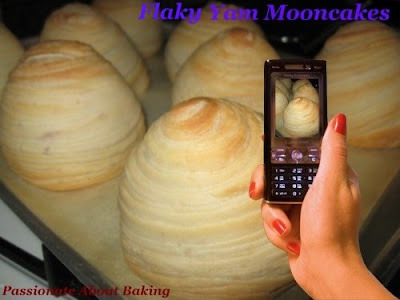 I decided to bake another batch of the flaky yam mooncakes, since the last batch wasn't that good. This time, it was much better & satisfactory. I also prepared dinner tonight since we didn't go to my mum's place as they had other appointment. The roasted chicken turned black very fast as I marinated it with honey. The tilapia fish was 'live' when I bought it in the morning. It was really fresh & the meat was juicy even though I grilled it and looked dried out! The baked cheese potatoes was also nice! All were wiped out at the end of dinner! A good change from the usual meat-veggies-soup-rice meals! I'm quite hooked on snow skin mooncakes lately. 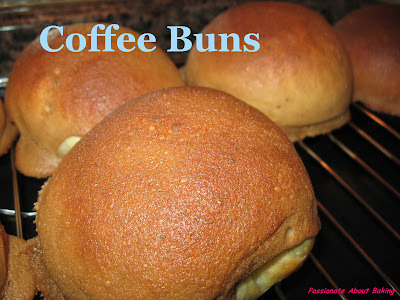 They are much easier to prepare than those baked ones, and yummy too! Thursday evening, I decided to do another batch of snow skin mooncakes-Pandan & Coffee. I use the Kwong Cheong Thye (KCT) recipe since I bought the Fried Glutinous Rice Flour & the White Lotus Paste there. I'm very happy with the Snow Skin Pandan Mooncakes, but the Snow Skin Coffee Mooncakes were a bit disappointing as there was not much coffee taste & fragrant. 1. Sift fried glutinous rice flour and icing sugar together. 3. Add water and mix well into a dough. 4. 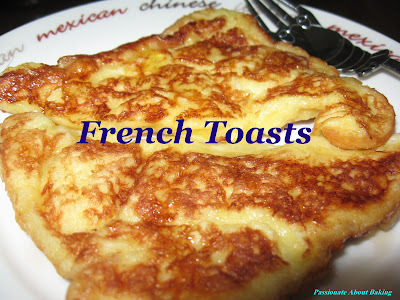 Divide the dough into two portion, one weighing 244g, the other weighing 305g there or about. 5. Add 1/2 tsp pandan paste to the bigger dough (305g) and 1/2 tsp coffee paste to the other dough (244g). 6. Knead well and ensure that the paste is well mixed with the doughs. 7. Let the dough rest for 20 minutes. 8. 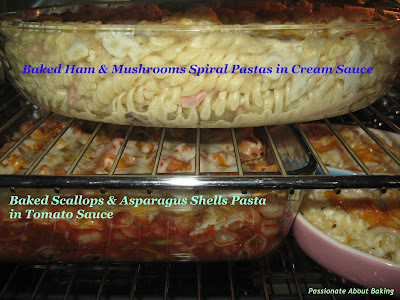 Divide each dough into a portion of 61g. You should get 4 doughs for the coffee and 5 doughs for the pandan. 1. Under each individual paste, mix the flavoured paste well with the white lotus paste. 2. Add the seeds/nuts to the paste and mix well. 3. Divide the dough into 96g each, 4 portions for coffee and 5 portions for pandan. 4. Flatten a pandan snow skin dough, place a ball of pandan paste and push the paste against the dough. 5. 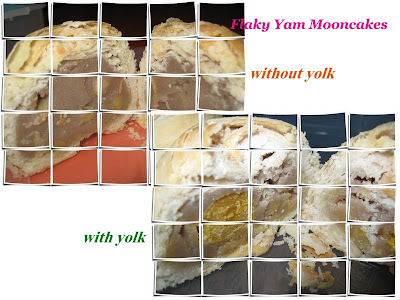 Wrap up the mooncake and roll into a ball. 6. Place the ball into the mould and press until a flat surface is achieved. 7. Knock out the shaped mooncake from the mould by lightly knocking in all directions with one hand and using the other hand to catch the dislodged mooncake. 8. Immediately chill the mooncakes in an airtight container. 祝大家，中秋节快乐! Happy Mid-Autumn Festival to all!